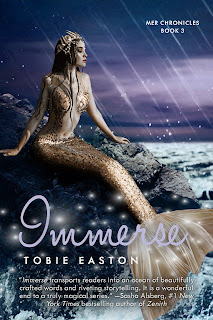 Welcome today's stop on the Immerse (Mer Chronicles #3) by Tobie Easton Blog Tour presented by Month9Books and hosted by Chapter by Chapter. Today's stop is a review as well as a chance to enter the great giveaway that is being run throughout this tour. 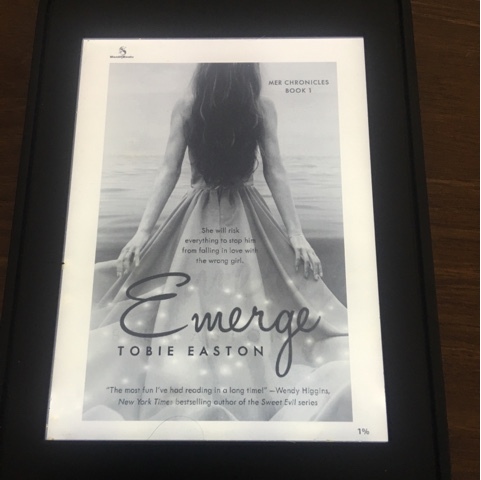 I loved books 1 and 2 of this series so I jumped at the chance to read and review the conclusion to this series. It was most definitely a good decision. Not only was it a great continuation and satisfying conclusion to a very enjoyable series but it was also a enjoyable and engaging story in its own right. Book 3, Immerse, starts a day before Lia's parent's are due to be crowned King and Queen of Mer, Lia and Clay are seeing each other in secret and Caspian has been visiting Melusine in the not quite jail cell the community has placed her in. I also felt that Lia grew a lot in this book both in her decision making and actions and I liked her even more in this book than I had previously. 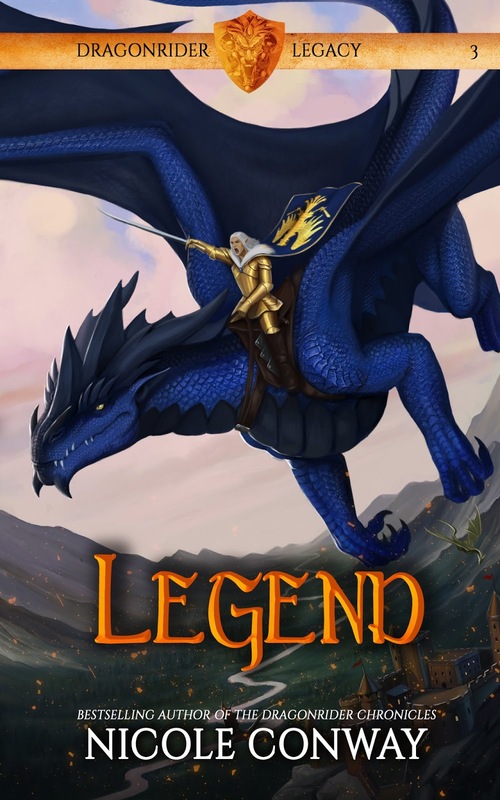 Over all this book has all the elements of a great story; Characters that you could feel genuine connections to, a story line pulled you in and kept you there through all the twists and turns, and a nice balance of action, adventure and romance and leaves with a feeling of satisfaction in the ending. Welcome today's stop on the Right Girl Wrong Timing (Offsides #3) by Natalie Decker Blog Tour presented by Swoon Romance and hosted by Chapter by Chapter. Today's stop is a review as well as a chance to enter the great giveaway that is being run throughout this tour. I went into this book expecting to enjoy the read but actually ended up enjoying it even more than I expected. Book 3 of the Offsides series focuses on Adaline Bea Frost and Austen Reed and we follow the story from Addie and Austen in alternating perspectives throughout the book. We had met Addie as Juliet's best friend and Austen as friend and team mate of Tyler and Jared in the previous books. As a result I had formed opinions of both Addie and Austen going into this book. Addie I liked. Austen not so much. So I wasn't sure how I felt about this pairing going in. My perspective was changed after the first chapter, in fact the first paragraph. 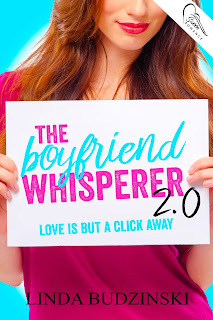 As I got further into the story, the more I connected and warmed to the both of them, Austen in particular. 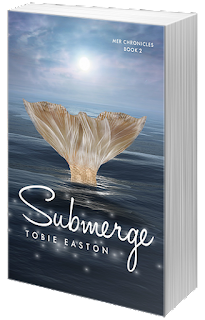 The story itself was engaging, fun and sweet and kept me completely in it from beginning to end. Taking place from shortly after book 2 until Spring break of the same year, we follow Addie dealing with her crush on Austen after she believes he has rejected her when he said no to taking her to the Valentines Day dance as well as pressure from her parents over her academics and her future and Austen, who is dealing with changes in his home life and dealing with the pressures of being in a single parent family that isn't quite making ends meet and trying to not only work out what he feels for Addies but trying get her to see it too. The story itself felt authentic in its portrayal of the two main characters and their friends around them and I was definitely pulling for them to get together by the end. Captured and tortured by the brutal tyrant, Argonox, Reigh’s worst fears have now been realized. 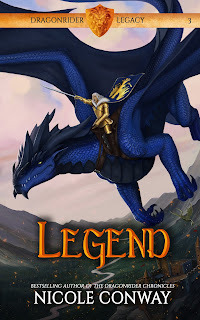 Argonox has successfully twisted his mysterious dark power for a truly evil purpose—reanimating the long-deceased legendary dragonrider, Beckah Derrick, and her monstrous king drake. But Argonox’s cruelty won’t end there, and Reigh fears the worst is yet to come. Rescue is unlikely as the Tibrans prepare to make their final strike, poised to break Maldobar’s ranks of proud dragonriders once and for all. With many of its cities already captured by the Tibran Empire, all hope now rests with Jaevid, Princess Jenna, Phillip, and their mismatched band of dragonrider allies to lead the last stand and save their kingdom. Even in such frightful times, Jaevid may find he still has a few old friends ready to take up their weapons and stand at his side again. But facing down Beckah is perhaps the one thing that might break Jaevid’s resolve. Can he really strike down the woman he used to love in order to save the kingdom? 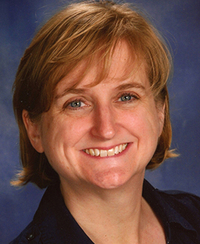 NICOLE CONWAY is an author from North Alabama. She graduated from Auburn University in 2012, and has previously worked as a graphic artist. She is happily married with one son. 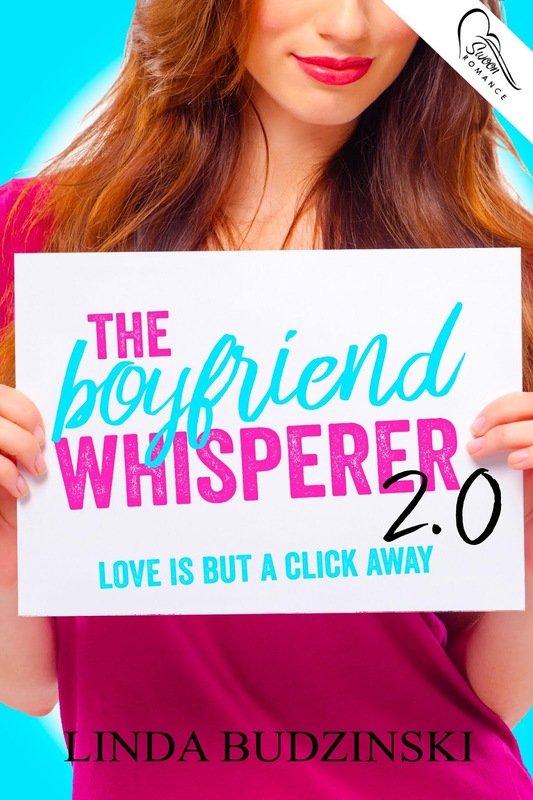 Welcome today's stop on the The Boyfriend Whisperer 2.0 by Linda Budzinski Blog Tour presented by Swoon Romance and hosted by Chapter by Chapter. Today's stop is a review as well as a chance to enter the great giveaway that is being run throughout this tour. 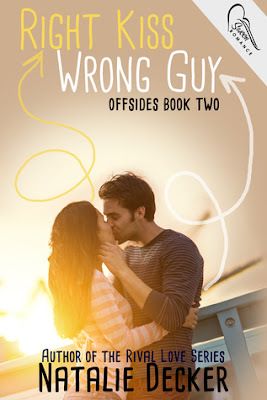 This book was a fun, cute and enjoyable read. Its starts when Alicea takes over her friend's Boyfriend Whisperer business. A computer programmer, Alicea has designed the perfect dating match program destined to help her high school colleagues find their dating match with 99% accuracy. 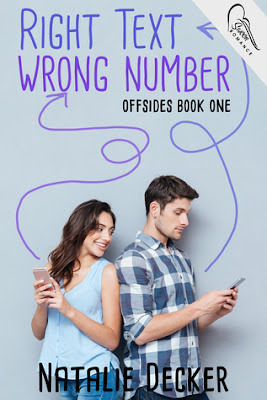 However after being dumped by the boy of her dreams, Alicea has to trust her own dating program even when the match it spits out for her makes absolutely no sense. At first I wasn't mad about Alicea. She seemed really young for her age, maturity level wise, which i thought might affect the story however as we got her know her better through the story, she grew on me and I liked that she grew in the story also. I liked Darius from the get go, much more than Ty Walker and I liked the Chemistry between Alicia and Darius and the way it grew with their interractions, through out the book. There were so many cute moments in this book, I found my self drawn into the story really quickly and way too soon i was turning the last pages. I loved that the way the author fleshed out the characters so we got to see many different facets of the characters such as Alicea and her dancing , Darius with his sister. Their made the characters and the story so much more real and mincreased my connection to the story as a whole.